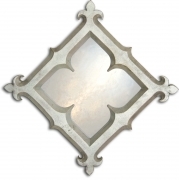 A life time's work has gone into refining the design, styling and gilded finishes of these beautiful decorative wall mirrors and overmantles and this same meticulous pursuit of excellence goes into the hand making and finishing of every one of my decorative mirrors. 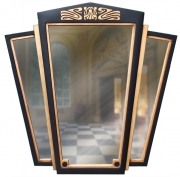 I know because I'm the one who has put each decorative wall mirror through this exacting process to ensure that they're second to none and something I and my customers can take great pride in. 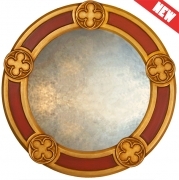 Simply click on any of the decorative wall mirrors below for further detail and information. 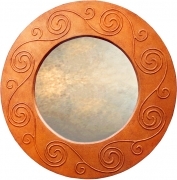 As hand made wall mirrors I am able to customise any of my mirrors to suit your precise requirements which is so important for large mirrors or overmantles as they will be the main focal point of any room so it's essential you don't just get the right style you'll need to consider the size, proportion and finish -all of which I can cater for and at a reasonable price as you will be dealing direct with me the maker. 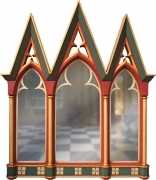 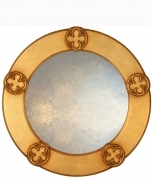 A wide choice of decorative Mirror Styles. 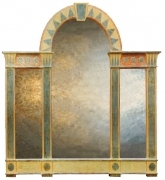 For a unifying stylistic theme my Decorative Wall Mirror Collection has been inspired by the major decorative art movements. 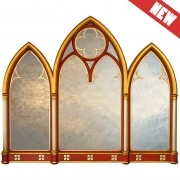 Their timeless appeal can add a note of Gothic drama or classical elegance to a room. 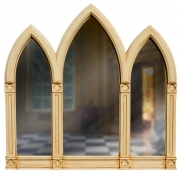 In addition to the Gothic and Classical styles you can also consider Palladian, Regency or Art Deco mirror styles. 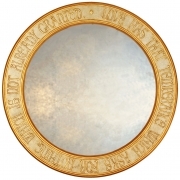 Failing this then you might like to view my Contemporary Mirror Collection. 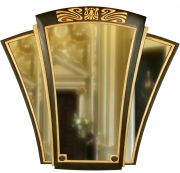 To enhance the styling my decorative mirrors are hand finished in either a traditional gilded finish or one of my decorative paint finishes should you require a more contemporary look. 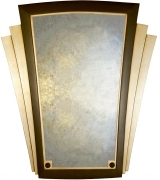 The appeal of a gilded finish is timeless and is the ultimate in quality and faithfully reproduces those used on antique clocks. 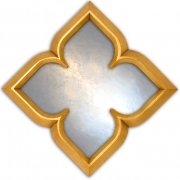 I am one of the few craftsmen still employing these traditional gilding techniques. 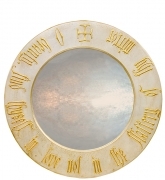 So if you are looking for a gold clock I can offer the complete range of finishes; 24 carat gold, gold metal leaf and antique gold. 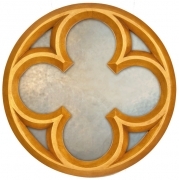 Our silver clock finishes include; light silver leaf, tarnished silver and pewter. 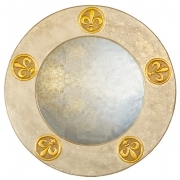 Combining gilding with paint finishes creates a synergy where by one enhances the other. 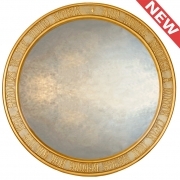 It can also be used to break up large expanses of gold or silver leaf which can be a bit too over powering or to pick out details or subtly accentuate the shape of a decorative wall mirror.